We see a lot of spin-offs and reboots on the TV and at the movies these days. So why not apply the same logic that what was popular once will probably be popular again to your blog? Spin-offs, sequels and adaptations have always been prevelant. Take The Andy Griffith Show, for example. This 1960’s gem churned out not one but two spin-off series: Gomer Pyle, U.S.M.C. and Mayberry R.F.D. The insanely popular M*A*S*H also spawned two spin-offs. Happy Days, which was itself a spin-off, then spawned a whopping seven spin-off series, including the hugely successful Laverne & Shirley. Don’t even get me started on how many spinoffs we’ve been subjected to in order to keep up with the Kardashians. So how do you make your own spin-off? Well, first of all you stop thinking about it as a spin-off and start thinking of it under the the following marketing term: repurposed content. Each of the TV spin-offs listed above retained something from their parent series – usually one or two popular characters – to offer audiences something similar but at the same time slightly different to the original content that they loved so much. These spin-offs not only stood on their own, they notched huge ratings for their parent companies and helped contribute to the lasting legacy of their parent shows. So let’s apply the same thinking to your blog. You’ve probably produced some really great content in the past, stuff that brought you lots of traffic and engagement. But that content is just sitting there now. Gathering dust. Just as TV executives found success by creating spin-offs of their most popular shows, you too can drive new traffic to your website by repurposing blog content. Let’s take a look at five distinct ways in which you can repurpose content and get new value out of those dusty old blog posts. You’ve probably been told countless times over the years that any type of duplicate content is bad news, but that’s just a myth. Duplicate content isn’t going to penalize your site, and when you take advantage of other sites that are willing to publish non-original content, you can quickly and easily attract a new readership for your blog. Also, you can usually add a link to your original post in your syndicated article. And these are just the tip of the iceberg. By syndicating your top posts to these sites (and others), you can share your content with brand new audiences and even gain an SEO boost. Simply ensure your original post has a canonical tag, and you won’t need to worry about the syndicated version being perceived as the ‘original,’ either. Listicles are all the rage in content marketing these days – think ‘5 Ways to Get the Most Beautiful Yard in the Neighborhood’, ‘7 Tricks to Master PPC’ and ’21 Reasons Why The 90s Were The Best Decade Ever’. The thing is, a lot of the individual items in these types of posts have more than enough substance to be turned into their own full-length article. Expanding on items allows you to go more in-depth on a particular topic that you’ve merely touched on – and better yet, since you know the original post was popular with your audience, you can also have confidence that they’ll be intrigued by a ‘deep sea dive’ into one of your main points. Another option is to use what DigiMar calls the ‘evil twin’ post – when you take the content from your original article and turn it on its head. For example, if your original article discussed ways to succeed at PPC marketing, your new spin-off could look at how people mess up when attempting these best practices. These spin-off ideas offer a quick and easy way to produce new content for your own blog or to create an original piece that you can submit as a guest post. Not everyone loves to read. I know this may sound like blasphemy to a lot of people… but it’s an important point to consider when repurposing your content for a digital audience. Thankfully, you have plenty of visual and audio methods at your disposal. Take infographics., for example. Infographics are a great way to visualize key data points from your blog post or illustrate a how-to guide – plus they’re hugely effective. Hubspot notes that these ‘information-carrying images’ get three times as many social media likes and shares as other content. As for video, according to Wordstream, one-third of online activity is spent watching video. So it makes sense to repurpose your content into a video for YouTube or Vimeo. You don’t have to dive as deep into the facts and statistics as you did in your original post – rather, briefly summarize your post’s content or share a few highlights before directing users to the post itself. Don’t forget about the power of podcasts, either. You could simply have someone narrate your blog post or you could gather some of your team members together to discuss your post’s themes. Podcasting is experiencing steady growth so there’s ample opportunity to reach new audiences through this medium. 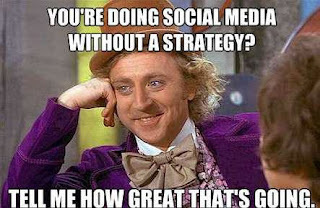 I’m guessing you’re always on the look-out for new ways to craft engaging social posts. So why not pluck a few highlights from your old posts to use on social media platforms? They’re ripe for the picking, especially stat-heavy posts and how-to guides. You could pull out your interesting statistics on your blog itself for a series of promotional tweets. Or, you could create a social media infographic illustrating the main points of one of your most popular blog posts. Alternatively, just keep it simple and reshare an old post. By providing interesting, helpful content, you’ll be able to improve your social media engagement and gain new blog traffic at the same time. It’s a double win. Quora is also a great option for repurposing your blog content. Users ask questions on thousands of subjects, ranging from solar energy to video marketing. By providing information from your blog posts (and referring to your link as the source for your answer), you can help users on this platform recognize your site as a great source of niche information. You could also do this through your email subscription lists. Rather than force yourself to always come up with new content for your bi-weekly email blasts, why not occasionally re-send one of your ‘classic’ posts instead? This can expose new subscribers to content they might have missed the first time around, while also reducing your own workload. If you’ve been blogging for any length of time, you’ve probably written multiple posts on similar topics – be it social media marketing, driver safety tips, or even a series of movie reviews. So why not combine these blog posts into a single ebook? Creating an ebook is easier than you probably imagine – after all, most of the content has already been written. All you need to do is add some introductory and concluding content, and maybe rework a couple of your old blog posts, to tie it all together. The big bonus is that this provides you with a new content pillar that you can spruik as a free download on your site or even as a self-published Kindle ebook. Using a bit of marketing know-how, your ebook can quickly gain traction and serve as a powerful representation of your brand. Sure, not every TV spin-off has been a hit – and not all of your blog repurposing efforts may succeed or come close to the level of success you enjoyed when you first published your post. But if you make a conscious effort to rework your dusty old blog content into something engaging and worthwhile, you’ll be able to attract new audiences and get more out of those old posts than you ever thought possible. Re-runs, distribution on Netflix and DVD sales have made it a trend to celebrate the classics – so do a similar thing with your blog posts today! What methods have you used to effectively repurpose old blog content? Are there any tactics that you like to use that I’ve missed? Let me know what you’re doing to deliver your message to the masses! The post 5 Killer Ways To Repurpose Old Blog Content For More Traffic appeared first on Jeffbullas's Blog.